A mother said she was abused for using a blue badge to park, because her two-year-old daughter, who has a medical condition, does not look disabled. Rachael Hanley's daughter Evie-Mae has paediatric apnoea and can need oxygen administering quickly. 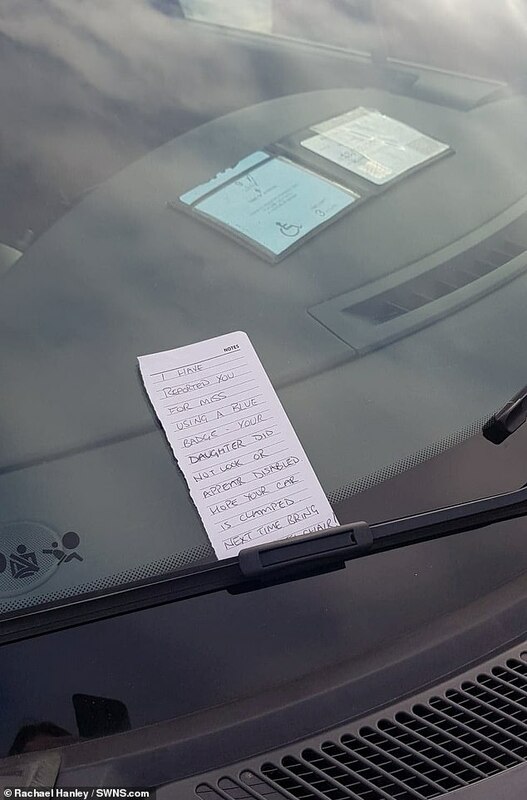 Mrs Hanley had parked at Meadowhall, Sheffield, with her two children when a man verbally abused her, than left a note on her windscreen. 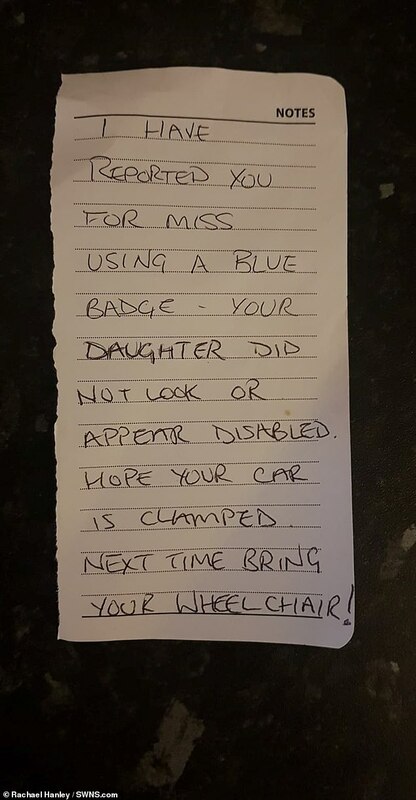 The note said she had been reported for misusing a blue badge. It said her daughter "did not look or appear disabled" and the car should be clamped. The two-year-old has pauses in her breathing when she sleeps, and can need rapid access to oxygen. She needed urgent treatment later when the family returned to the car, said Mrs Hanley. 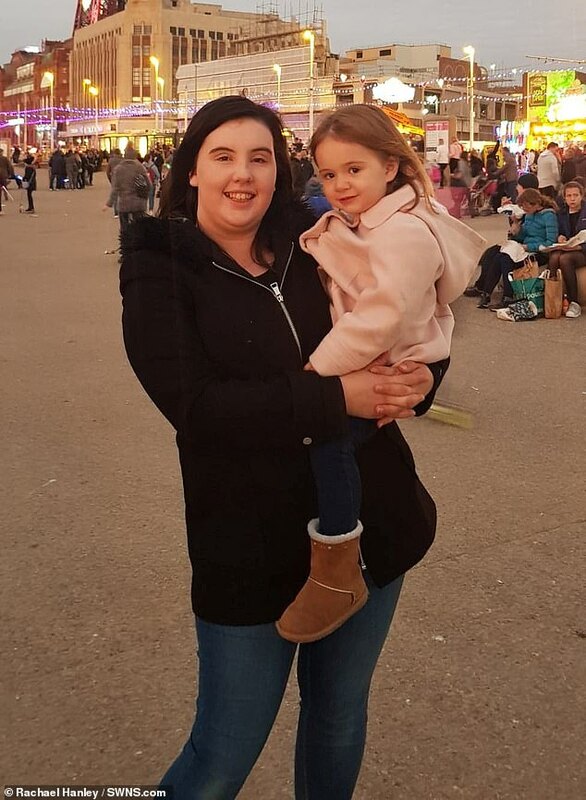 She said: "Evie-Mae often comes across like a very well child, meaning it can be deceiving when people look at her getting out of the car and she's laughing and playing, but she can become unwell very quickly." In a post on Facebook, she said: "Had you been at my car when I returned you would have witnessed why we have a blue badge, you would have seen Evie-Mae collapse to the floor fitting whilst vomiting and needing basic life support and then her oxygen administering. "You would have seen she was only a few more seconds away from needing an ambulance. "She may not look 'disabled' or have a wheelchair, but she does have additional needs. How dare you ruin our morning!" Government guidelines state parents of children under three years old can apply for the badge if the child needs to "be kept near a vehicle at all times" with bulky medical equipment needed.